After some late evening stints I am delighted to report that all my plastic Warlord ECW troops are assembled, based and primed. This took literally hours but the cost savings versus the equivalent metal army has been well documented in my previous post. So I am finally ablre to lay out the core of the army with a few additions. There is some more stuff on the way (namely more guns, mounted dragoons and a few more commanders) but effectively wjhat you see in the photos is the core of my ECW army. 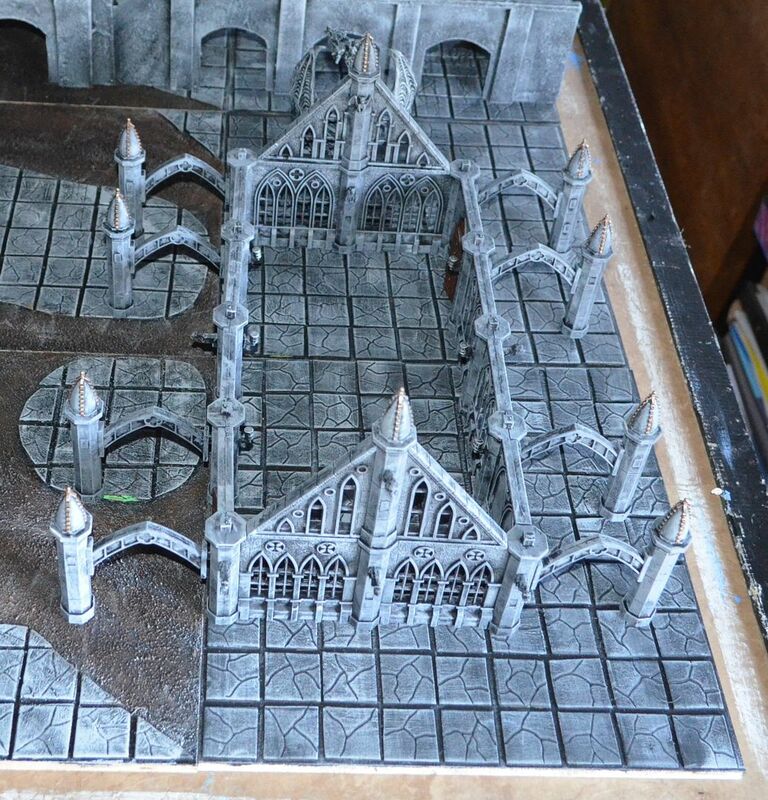 The next time it will all get laid out (on movement trays) will be when it is painted. Please note the forces are NOT laid out by battalia, regiment or unit. 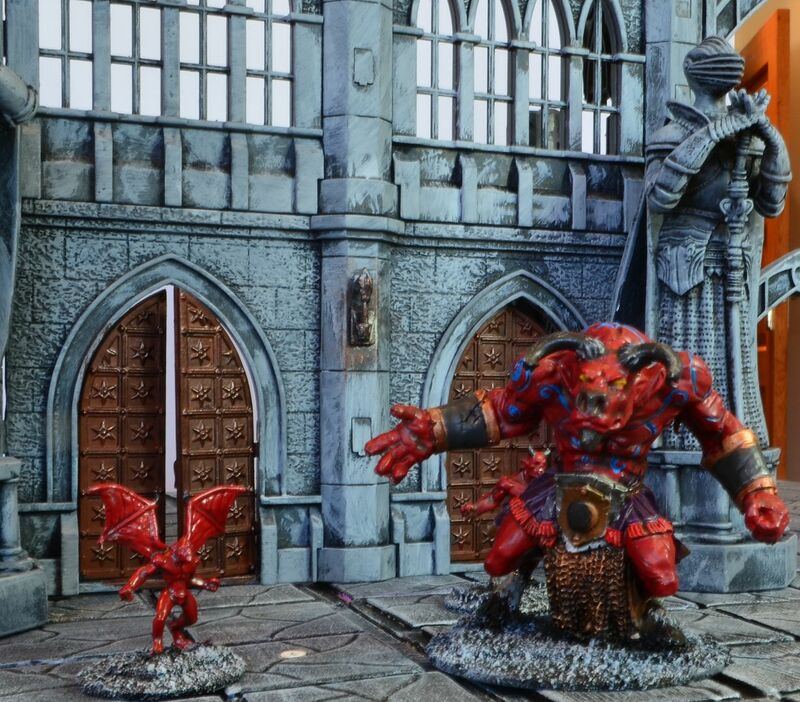 That comes next when I decide on the paint schemes. On the subject of painting I have set myself the target of completing this lot by the end of June - that 5 months of solid painting. 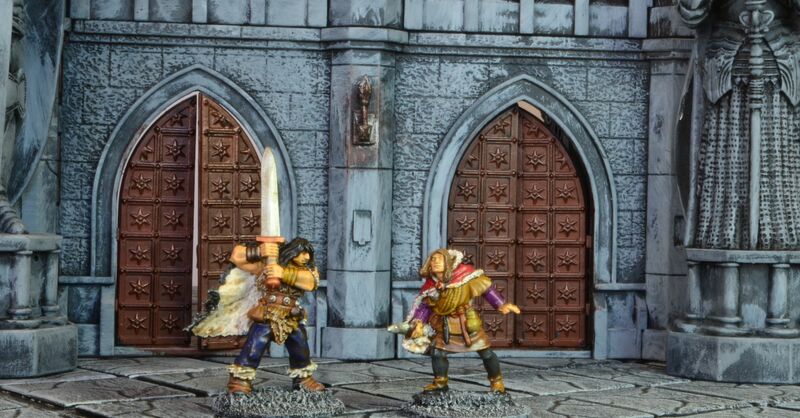 For all my followers who are NOT interested in the ECW rest assured there is other stuff to come from the Shed...this weekend we kick off the Frostgrave campaign so reports on that early next week. I have been cracking on with the ECW army build over the last couple of weeks assembling vast numbers of Warlord plastic figures and I am delighted to report that I am nearly there. Just the small matter of painting them ! I'll post pictures up of the fully based and primed army in the next few days. Fortunately my good friend Mark has also decided to join this adventure and we have agreed to split the build. He is going to focus on the Royalists and I am going to do the Parliamentarians. Up to now I have very much focused on the Infantry and Cavalry requirements of my army but of course I am going to need Artillery. At least a few guns ! Now I m trying to build this force on a budget so a bit of investigative analysis would be required on which company offered the best value. Most offer guns with crew but the number of crew varies considerably. Using the 'Saker' cannon as the comparison and looking across multiple ranges I produced this small table. Based on these numbers there is an enormous variety of options. I should also point out that Renegade had a buy 4 packs get fifth free (se effectively a 20% discount applied if you bought the volume. For the purposes of this analysis I have left the real price in. Based on this table the Perry option looks like the best deal £9 for a gun plus four crew. A potential purchase of 4 cannon from Perry would be £36. 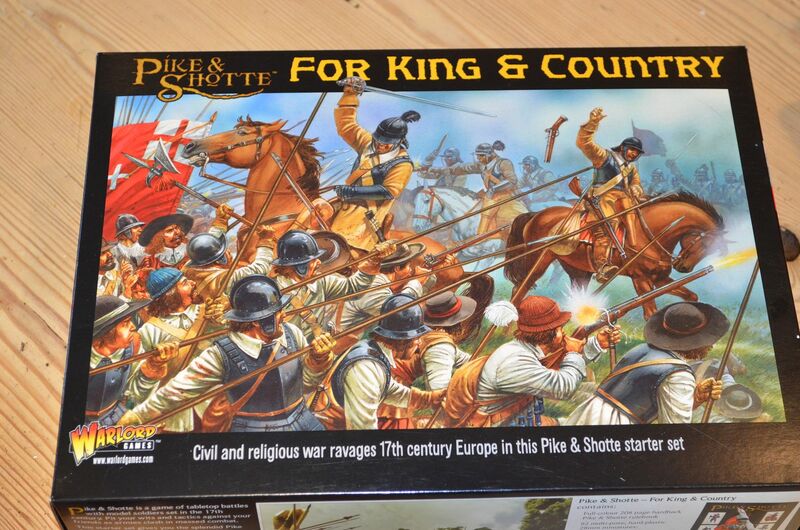 We are likely to start using Pike & Shotte as our initial rule set and they advise that the Parliamentary Army can have either 2 or 3 artillery pieces per battalia (depending upon time in war). 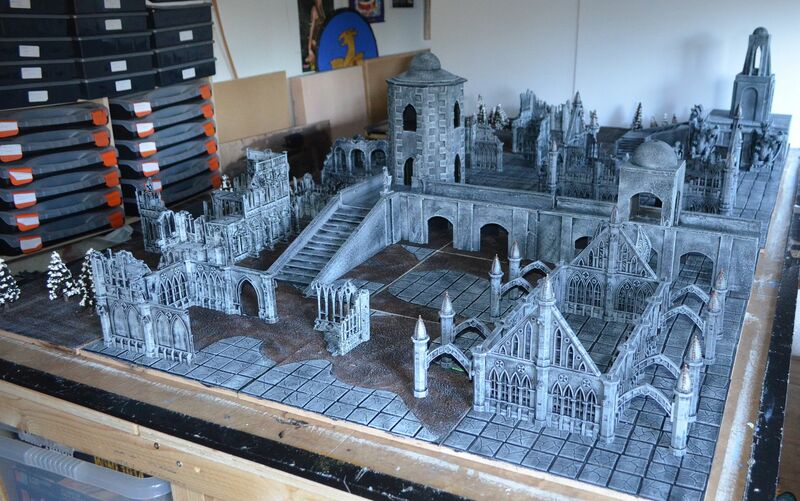 With a maximum of three foot battalia on the table I am probably going to need 6-9 guns. 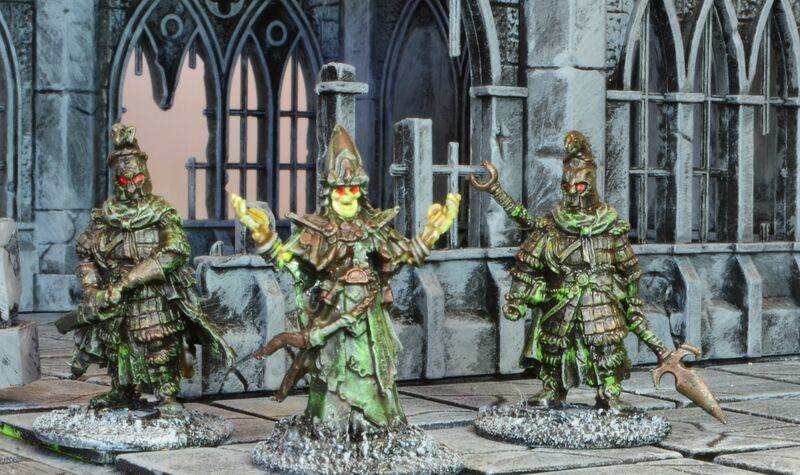 Once I have completed the plastic horde and seen what is missing (eg Dragoons, Commanders etc) I'll make the decision as I am sure the costs will be somewhat different once postage is included. Not too much to report at present, the weather is too cold to venture into the Shed (and it so desperately needs a clear out and tidy up) so I have been focussing on putting together my English Civil War army. On Saturday I had the opportunity to assemble the first of the King and Country box sets mentioned in the previous post. The figures are relatively straight forward to assemble but they do take time. 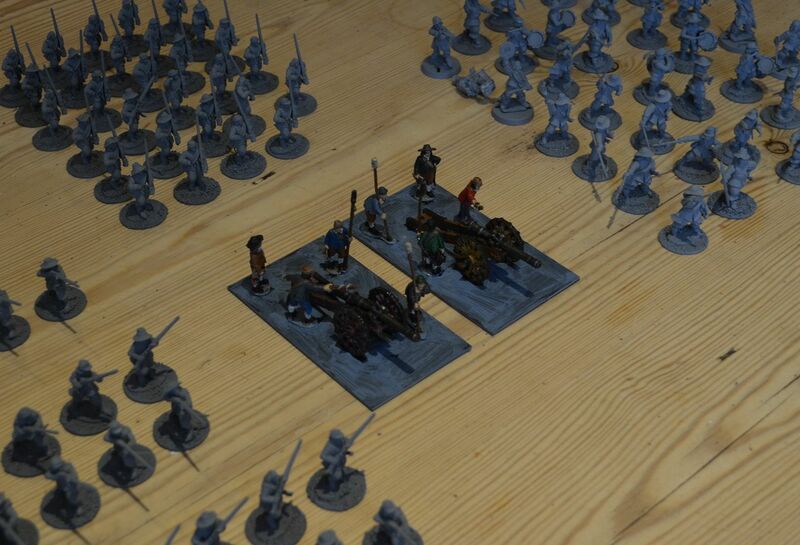 Once glued I stuck all the infantry onto 25mm m4 washers and the cavalry onto 2.5 x 5cm plasticard bases. The washers were then given a quick coat of paint (I find pva glue adheres better to a primed base). All the bases were then given a sand and ballast treatment. 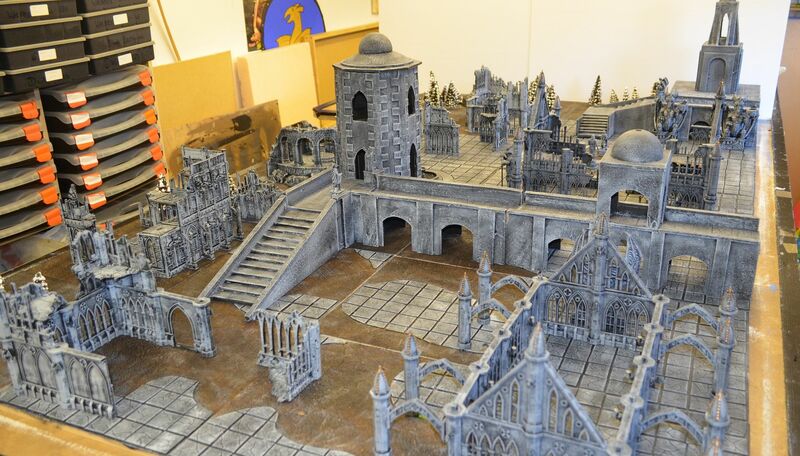 These were left overnight to dry and on sunday morning I sprayed them up all grey primer. With the weather so cold I had brought the spray paint in over night so this was room temperature as were the figures. The spraying itself was done outside but I allowed these to dry in the kitchen. Much to the annoyance of the family who complained I was trying to poison them with paint fumes ! I am still waiting on the rest of the box sets to arrive but a quick analysis of what has been bought shows that the cost of a Plastic Army is relatively good value. In summary I have bought a total of 288 figures (of which 60 are cavalry) for the princely sum of £181 which works out at about 63p per figure. By comparison a metal army of equivalent size would cost double if not triple this sum. The plan is to assemble all of these boxes before the serious painting starts. I still need to purchase some artillery support and then determine what other gaps exist in this force? 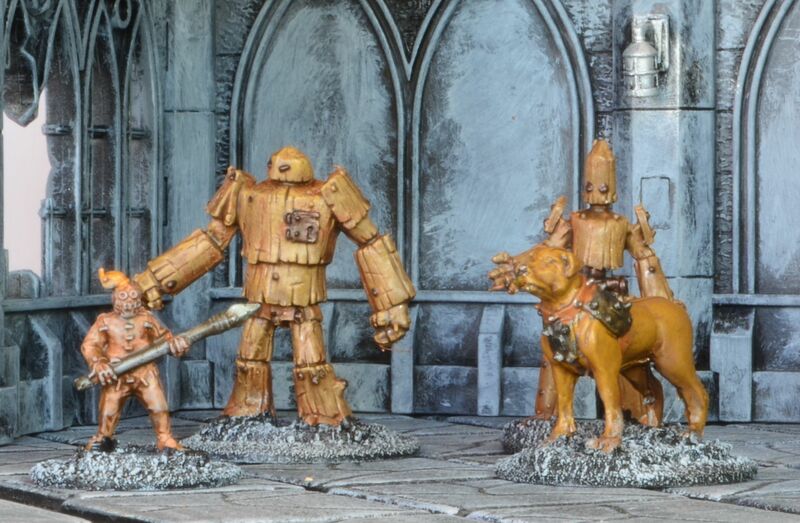 I reckon I can use some of the firelock infantry as dismounted dragoons so just need some unmanned horses - bound to be able to get cheap ones on the ebay site. 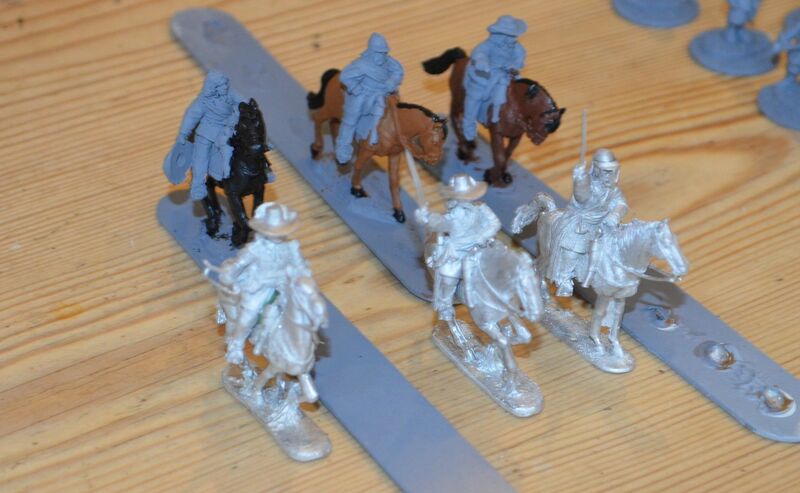 With the Frostgrave project nearly completed I have decided to kick off with my next project - 28mm English Civil War. 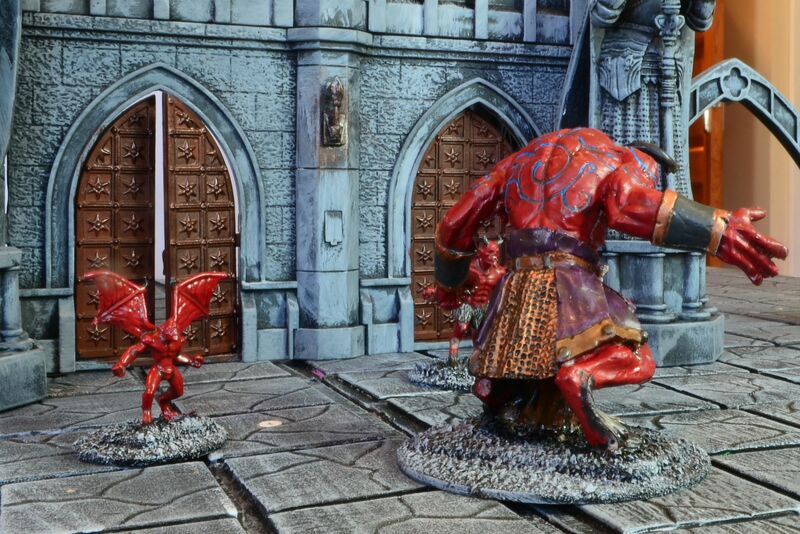 For many years I have been interested in this period and given that the Shed can now host most games from a number of genre's this is one that hasn't been tackled. 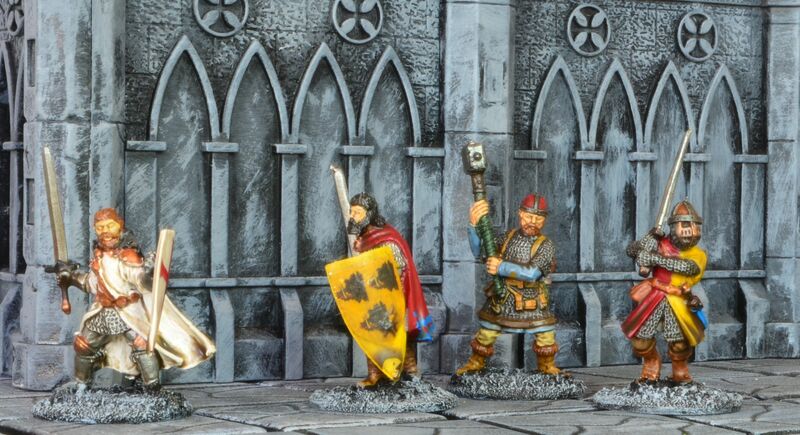 I did consider doing this in 10mm but the fun I had putting together the crusades in 28mm swayed my opinion. On top of that much of my terrain for my 1930's England VBCW project and Robin Hood Medieval projects can be used all over again (OK - the paved roads, railway lines and modern buildings will not feature). Where to start. 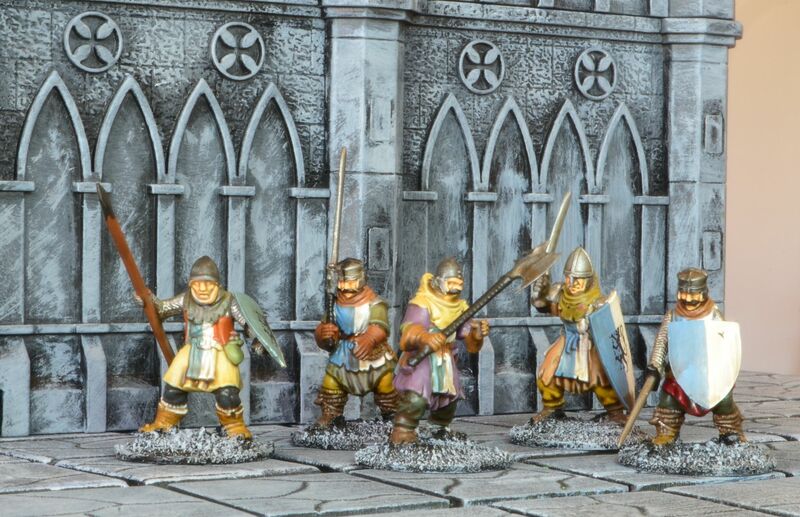 Well fortunately there are a load of companies out there producing ECW 28mm troops but the best value seems to be the Warlord games plastic range. Remembering that they do a starter box set I trotted off to their website and bought the King & Country box set. For the princely sum of £70 and three days later I received the hardback version of Pike & Shotte, 64 infantry men and 12 cavalry. I think I jumped the gun because the following day I found the same box set for £45 on ebay. Realising that I would need plenty of troops to fields my parliamentary army I bought another box set along with a box of standard cavalry. Still waiting for this to arrive. 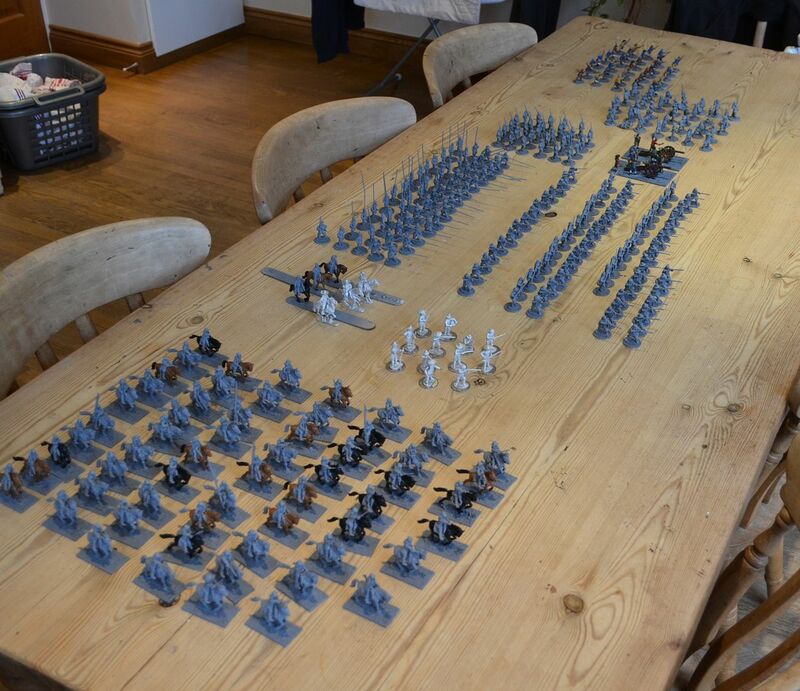 In total this will give me 36 regular cavalry and 128 infantry figures. Enough for me start with and keep me busy painting for the next few months. The extra book will be given to my gaming buddy Mark who has also started his ECW army. I will need to add some Cannon, Dragoons and Command Figures but I don't think this is too bad for a starting position. 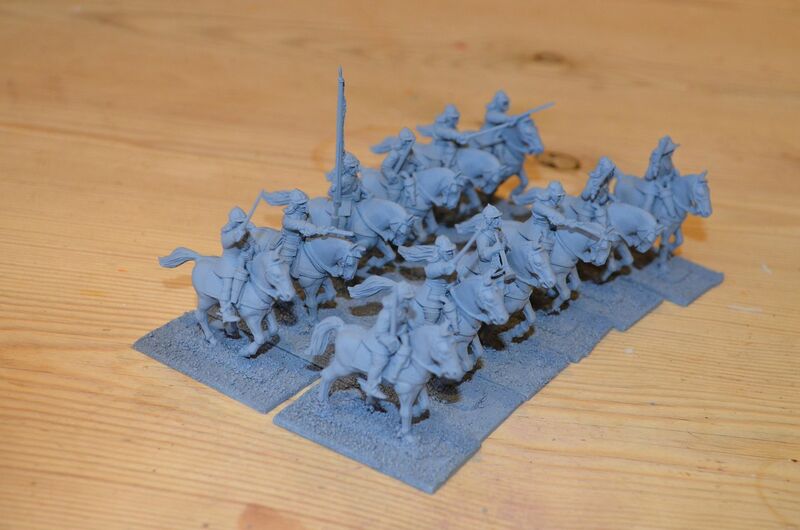 Stop Press: Last night I assembled the first 12 cavalry men, based these and gave them a quick coat of Halfords grey primer. 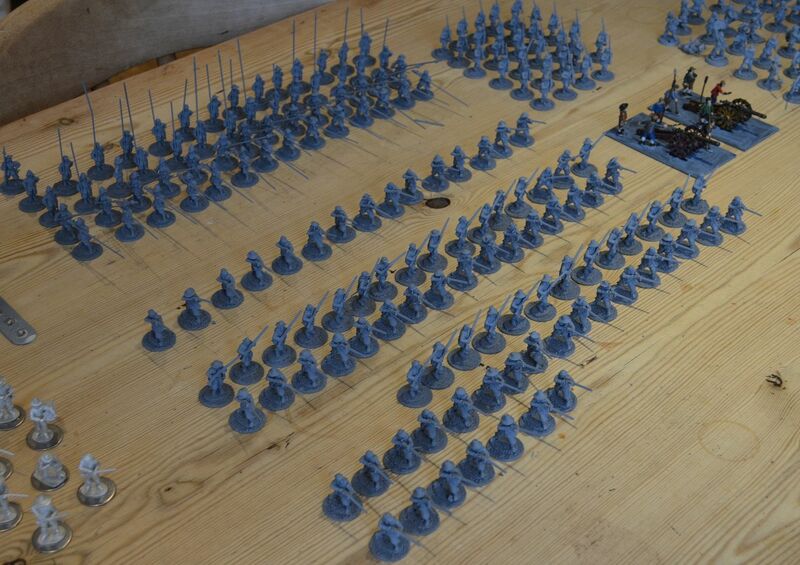 The next job is to assemble all the various figures (muskets, pikes etc) and also get them based and primed. Once that is done I'll begin the painting. 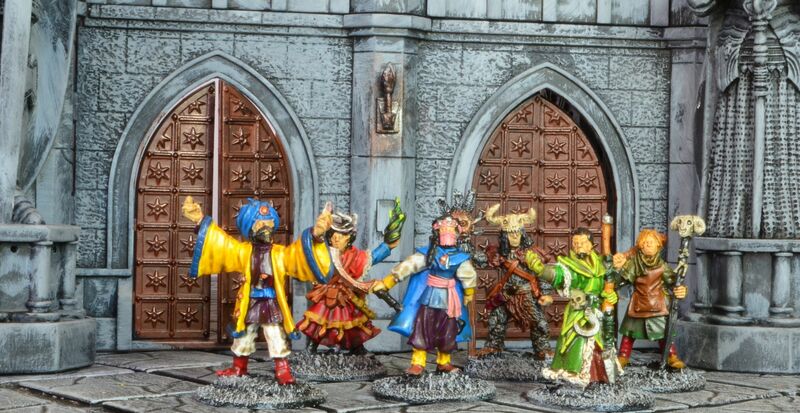 In one of my previous posts I mentioned that I had mostly finished painting all of the figures I had purchased for Frostgrave, a very satisfying milestone. Now I am not the greatest painter in the world - typically block paint and then dip. The Army painter dip (I use the strong tone) has been a godsend for painters like me as they tart up poorly painted figures in no time at all. 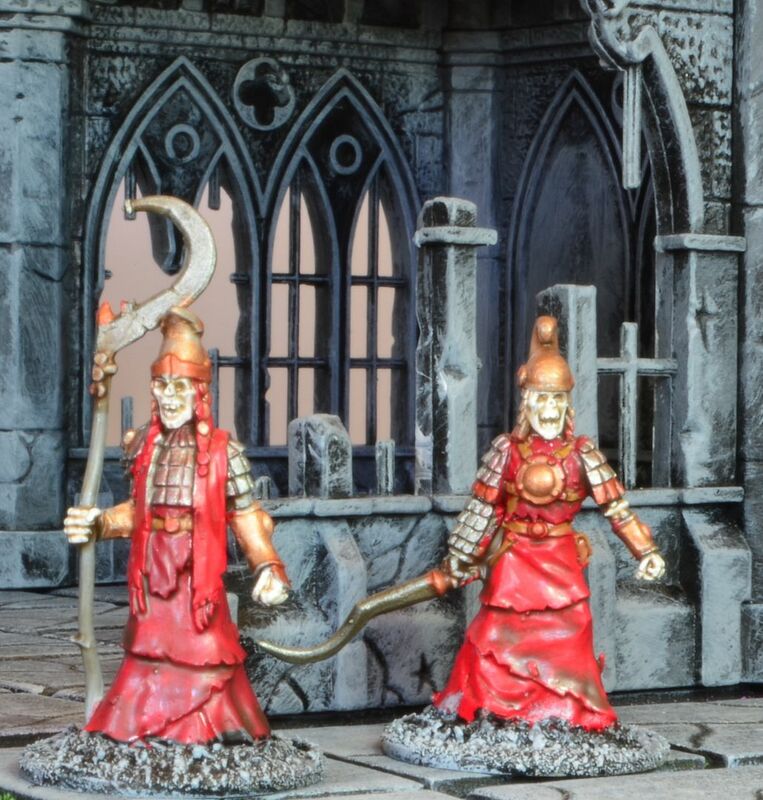 However one of the many criticisms I do receive is that the figures look a little shiny. For years I have liked this look as it reminds me that they are toy soldiers. However things change. Whilst rummaging around in my paint box I found a pot of matt varnish and I thought what the hell lets have a go on one of the figures. 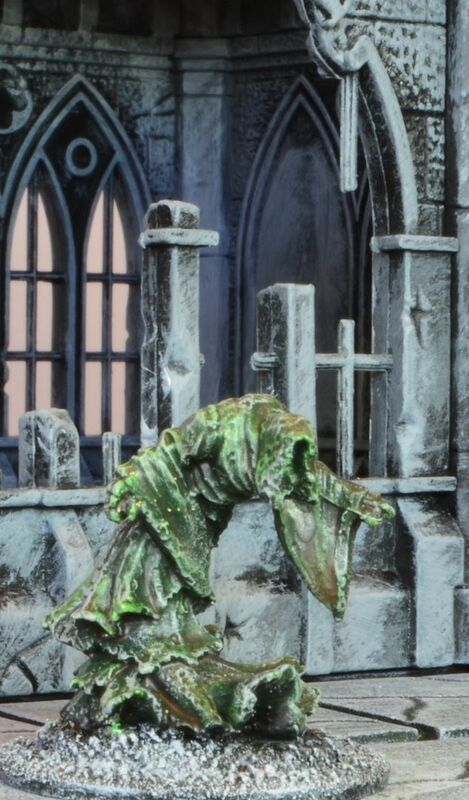 I selected the 'mule' from the last Frostgrave nickstarter. Once the varnish dried I was stunned with the final affect. It was great (at least in my eyes). The combination of the army painter shading and the matt varnish had me hooked. 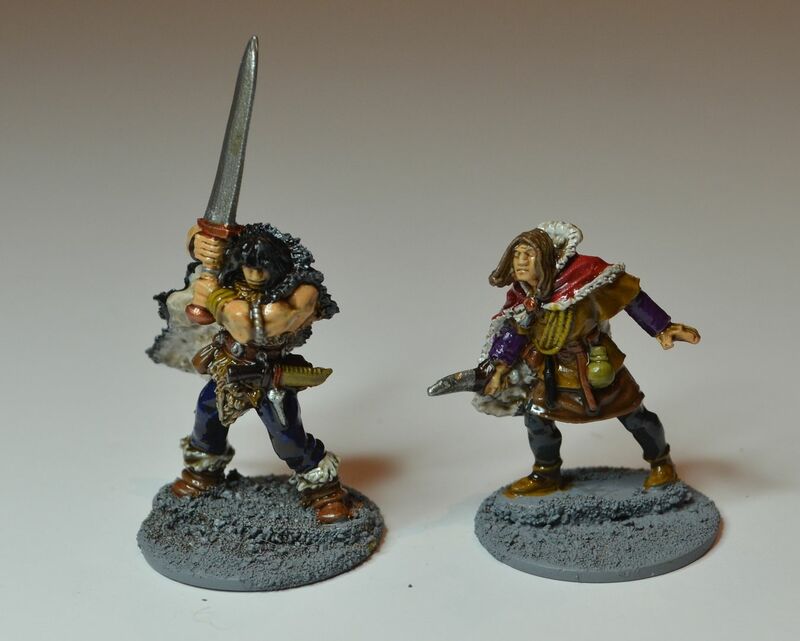 There was only one thing for it all the Frostgrave figures would be given the same treatment. Fortunately I had taken some piccies of the un varnished figures for comparative purposes. I hope you agree they look significantly better. Woke up this morning with the welcome news that the Shed Wars blog has achieved 400k hits ! When I started this blog just over 4 years ago I never thought that I could achieve this milestone and based on current run rates I should top over the half million mark in September this year. So a big thank you to all those following and clicking. You might have also noticed that the blog has now been featuring some advertising (via adsense). I started this back at the beginning of December and since there have been no complaints I'll leave it on. In the thirty plus days I have been running the adverts I have amassed the princely sum of £11.25. Crudely this works out at about 30p a day. Over this period I have attracted around 14,000 hits so each hit is worth approximately 0.08pence. Clearly this is not going to earn me a fortune but the revenue will got to offset the charges I now need to pay photobucket to store all the photos on this blog. A belated Happy New Year from the Shed. Hope you all had a great Christmas and some time off with your loved ones. For my sins mine was sadly game free. Mrs Shed somehow managed to book every day I wanted to play with relatives etc...and I still haven't been to see the new Star Wars film yet !! The weather has also done its best to prevent access to the Shed - the garden is completely waterlogged and just to travel the couple of hundred feet to the end of the garden requires welly boots. All I can say is that us folks in the South seem to have got off lightly compared to those in the north. Therefore the kitchen table has become my painting space and I am delighted to report that I have finished painting ALL my frostgrave minis. 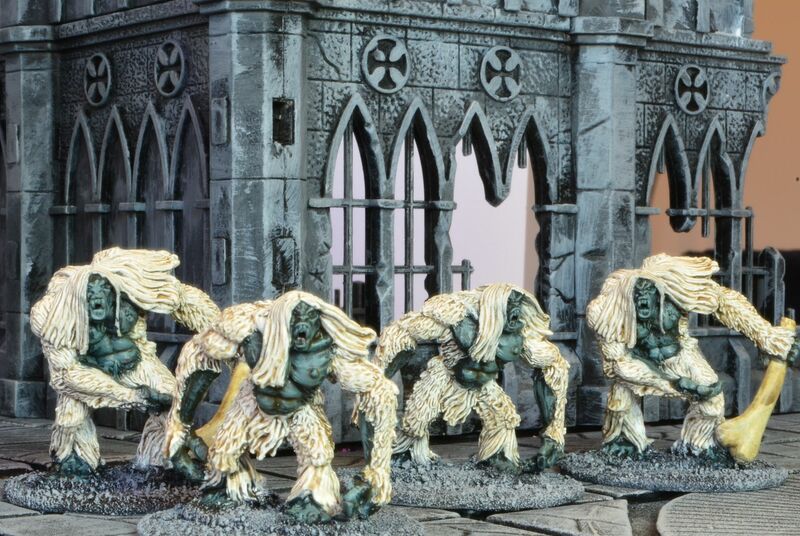 I'll post up a report on these in the next couple of days once I have done some photos - and I'll be talking about revolution in my painting habits - more on this soon. All that is left is the box of cultists to do and then we are done. However the big news is that I can report that my city is now 90% complete. Just waiting on a few Pegasus hobbies boxes sets to finish off the third board. I took some photos with the lights on and off in the shed - the off switch photos make the city look far colder !.. 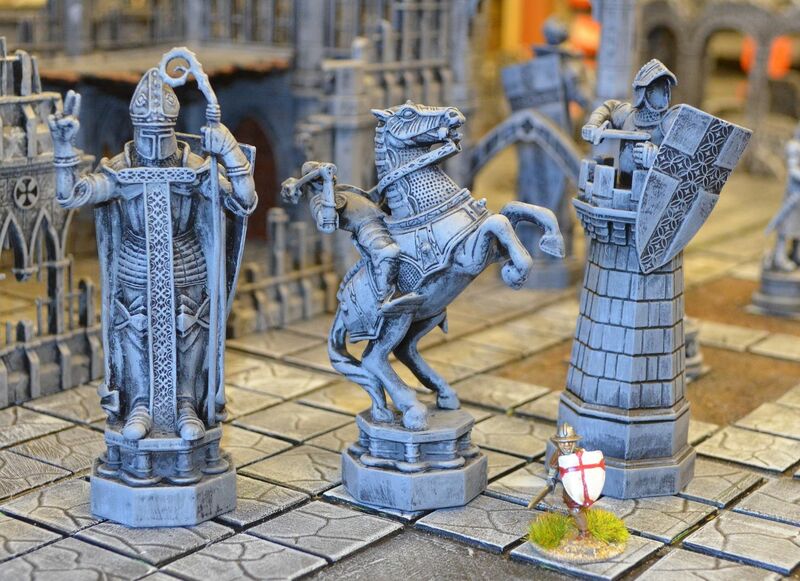 The Chess Pieces make great statues - I bought 12 broken ones off ebay for about £15 - these have now been painted up and I am hoping to recoup some of my expenditure by selling off the ones I don't need. 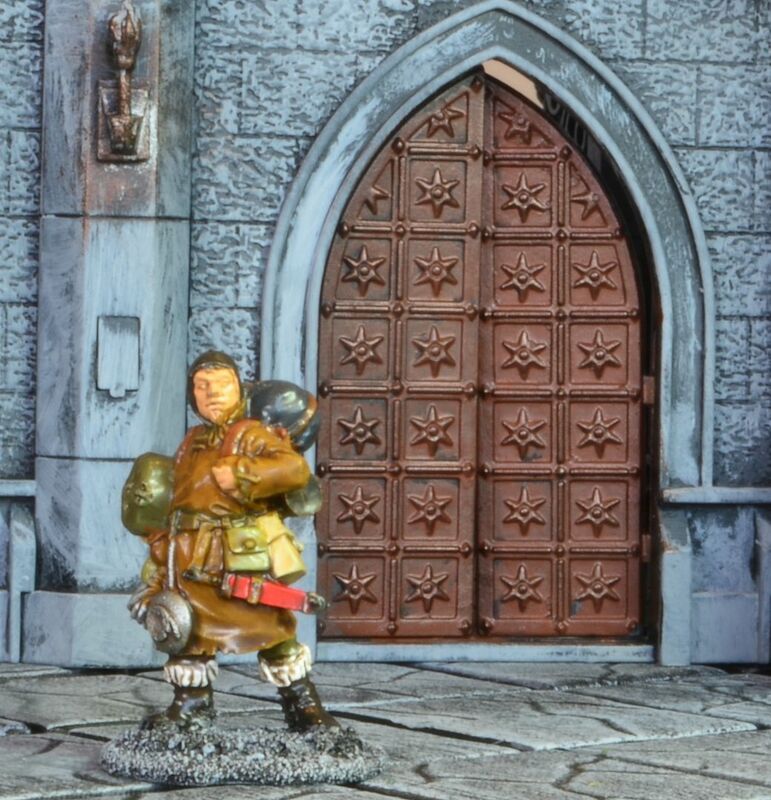 The 28mm Fireforge soldier shows how big they are. 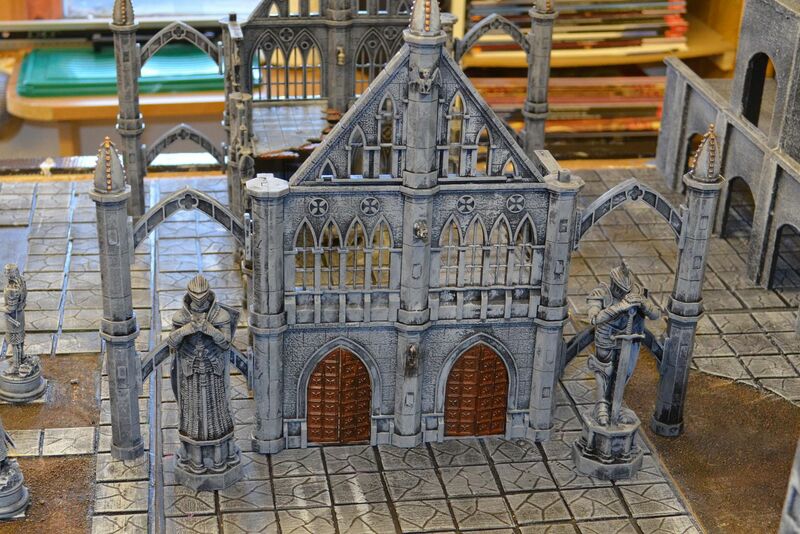 Here's a couple more of these in front of a Pegasus hobbies ruin - This was built using building set 1 and the ruins box set. The picture below is the reverse shot of this impressive building. 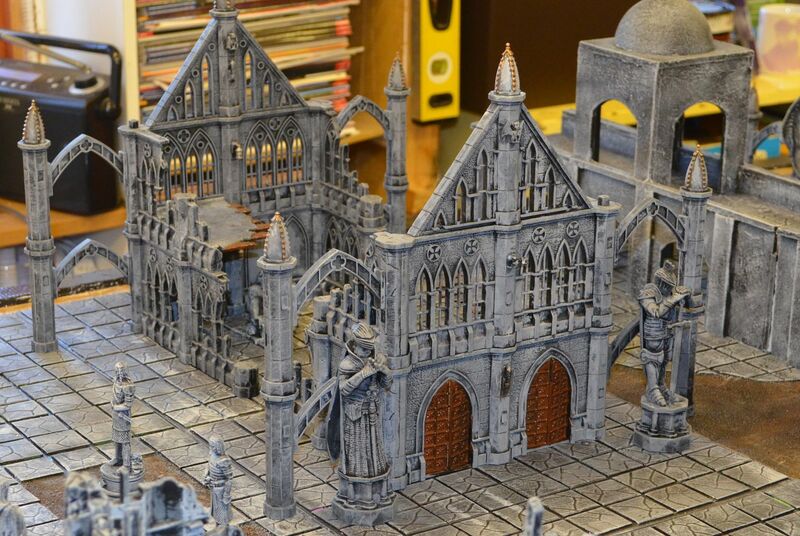 I have gone a bit crazy on these Pegasus buildings and have ordered another big set, another ruin set and another building set 1 to finish off the city with an impressive tower. 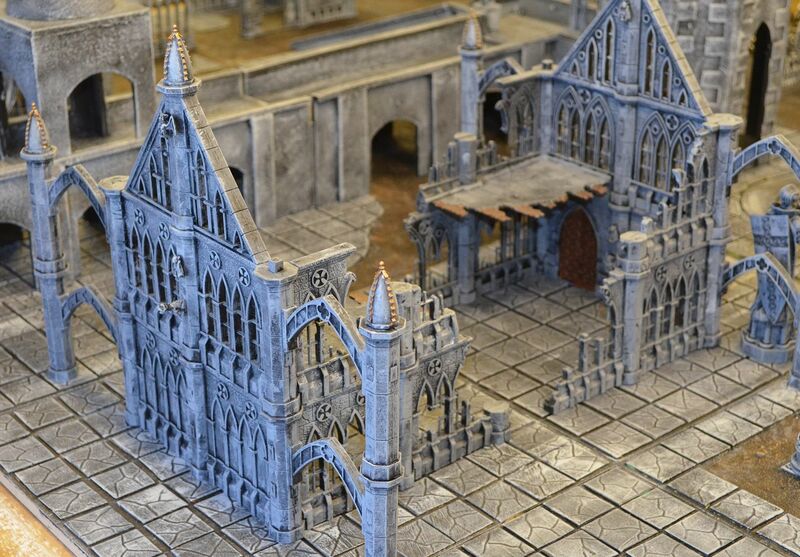 Sadly building set number 2 appears to be out of production and they are now going for silly money. Finally I drilled some holes into the plain boards so I could add some trees...coupled with the ruined buildings they look rather good (thanks John for buying these). If by any chance he reads this or you know him please pass on my thanks - I don't do facebook where he resides and since Shedson is the only one who can work you tube I daren't send him a comment on that media.